Need Muffler Repair in Bellevue WA? 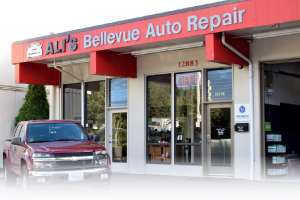 For any muffler issue, Ali's Bellevue Auto Repair is here to help! We work with any type of car or exhaust issue including muffler repair and replacement. Plus, we can check and fix any other exhaust issue. We've been handling Mufflers in Bellevue WA for many years. If you see an excess amount of smoke when starting your vehicle you may be experiencing a muffler issue. Other indicators of an issue include rattling or hissing noises or a sagging, broken or bent muffler. For your car's exhaust system the muffler helps to minimize the amount of noise produced from the engine. Most problems with the exhaust system involve a muffler issue. Car mufflers are a series of tubes with holes. Mufflers reflect sound waves-which lessens the sounds that come from the car's engine. 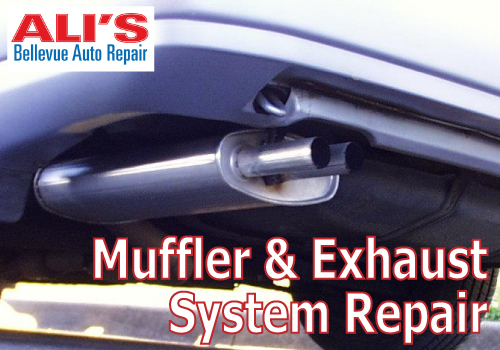 At Ali's Bellevue Auto Repair we professionally diagnose and provide affordable assistance, whether it's your muffler that needs replacement or anything else your exhaust system needs! We work with any type of vehicle- car, truck or SUV. Do you think that you may have a muffler issue? We are the affordable choice for all repairs and muffler repair Bellevue WA drivers will recommend. Call us today at 425-450-9713 and we will get your issue diagnosed right away!